On 30th September will be held in Bottrighe (RO) the inauguration ceremony of the MATER-BIOTECH plant, 100% owned by NOVAMONT. With MATER-BIOTECH, NOVAMONT takes another step forward in its project of biorefinery integrated in the local area, dedicated to the production of bioplastics and biochemicals from renewable sources, combining the well-established chemical processes with industrial biotechnology. 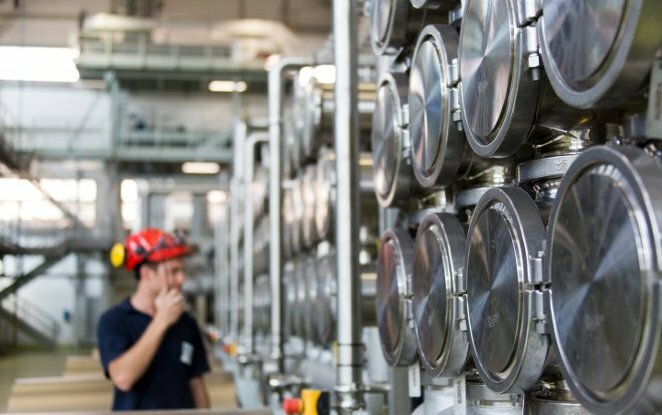 The plant is the result of the regeneration of the former BioItalia/Ajinomoto site in Adria and represents worldwide the first dedicated industrial plant that can produce butanediol (1.4 BDO) directly from sugars, through fermentation processes. The MATER-BIOTECH inauguration ceremony will be preceded by the international conference "Reconnecting economy and society through innovation - A new bioeconomy infrastructure for the regeneration of local areas". The conference will take place at the Ca' Vendramin Regional Land Reclamation Museum in Taglio di Po (RO), an ancient dewatering pump which represents one of the most significant examples of industrial archaeology in the area. Leading national and international stakeholders from institutions, business and finance will be called upon to see how the bioeconomy’s infrastructure and investments development, favoured by strategic partnerships in the context of circular economy, can make a major contribution to growth, employment and our country’s innovation capital by reconnecting economy and society. Catia Bastioli, NOVAMONT’s CEO, in her presentation "Biorefineries integrated in local areas to reindustrialise and decarbonise Europe" will outline how the support to the creation of bioeconomy infrastructure in terms of integrated biorefineries highly innovative and with full respect of the territories, can represent an opportunity to reconnect economy and society. At the conference will also participate Massimo Barbujani - Mayor of Adria, Wayne Visser - Director of the Kaleidoscope Futures think-tank, Christophe Schilling - PhD and Ceo Genomatica, Riccardo Palmisano - President of Assobiotec, Roberto Moncalvo - President Coldiretti, Simona Bonafè - MEP Rapporteur of the Circular Economy Package. The conclusions of the conference will be drawn from Gian Luca Galletti - Minister for the Environment, Land and Sea and Claudio De Vincenti - State Secretary of the Council of Ministers of the Italian Republic.